Columbia Presents Forecast, an "adventure in radio future." 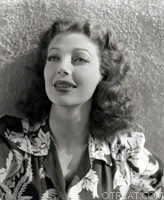 Forecast broadcast audition shows from New York and Hollywood, shows that all hoped that their appearance on Forecast would be their big break. 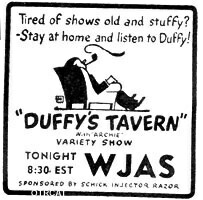 For many it was - Suspense and Duffy's Tavern all got their start on this show. This collection includes both shows that went on to great fame, as well as shows and slipped into the dumps. All, however, are excellently executed. Each week held a new surprise; varied programs included drama, crime, horror, comedy, westerns, and more. Enjoy listening to the early days of some of our most beloved shows of yesteryear. Forecast forecasts bright days ahead while you enjoy these shows. I want to express my appreciation for your excellent service and for providing me with shows that bring back the wonderful memories of listening to the radio with my parents. Thank you so much for the quick response and my order shipment. Your "customer service" is most impressive.